trends ranging from 2015 to 2016. 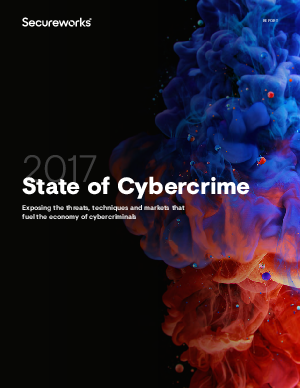 Secureworks’ goal in publicly sharing this report’s findings is to help all organizations better protect themselves from current and emerging cyber threats; to help make them become Collectively Smarter. Exponentially Safer.™ When you can outsmart and outwit adversaries, when you can get in front of the threat, when you can anticipate, defend, predict and secure your organization, and when you can freely focus on growing and improving your organization, it’s a beautiful thing. We hope that you enjoy reading.